The following content was originally created in this thread and in this thread on Reddit in /r/bloodborne. All credit for the content of this post goes to /u/xIkki and /u/brvtus, with only minor changes being made to reflect the difference in format. 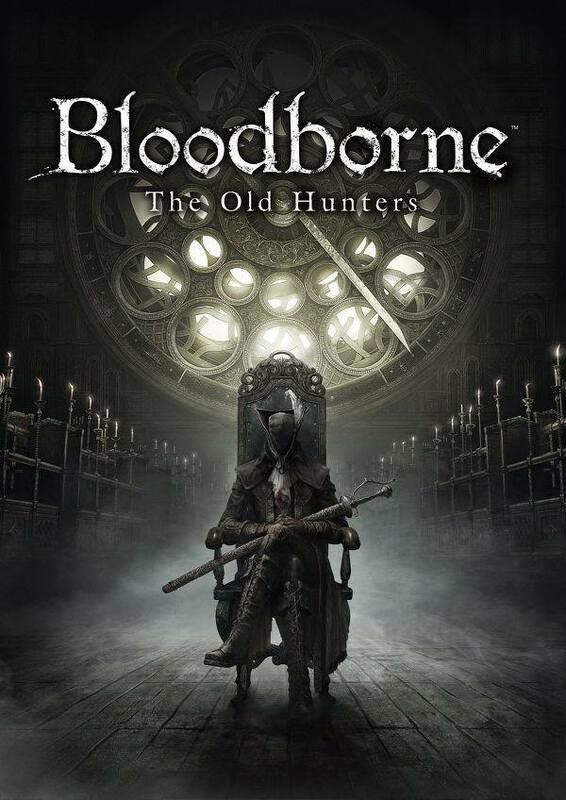 This post speculates about the identity of the Clocktower Hunter featured on the cover of the Old Hunters DLC. There has been speculation about practically every aspect of the upcoming Old Hunters DLC. These two pieces offer up a possible identity for the main figure featured upon the cover of the Old Hunters DLC. Originally written In this thread by /u/xIkki. Answers about the theory: We found the Old hunter bone in the old workshop, a bone of a practitioner of Gherman. My theory is that pratictioner was a woman, and she had the appereal of the plain doll. At some point she probably died and Gherman created a Plain Doll with the pratictioner's apparel. Extra Theories: The DLC probably takes places right after the Workshop was found, that is the pratictioner of Gherman. Originally written in this thread by /u/brvtus. There is already speculation about the identity of this figure, with /u/xIkki claiming a striking resemblance to the Plain Doll. For me, though, this character seems to have strong Cainhurst connections. 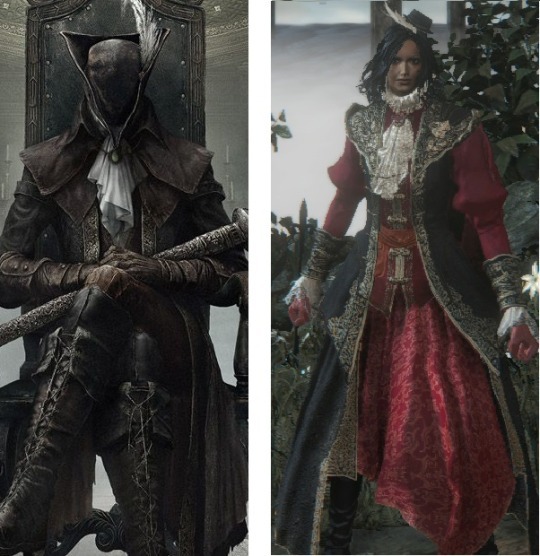 Their outfit is very similar to the Knight outfit found in a Cainhurst chest, including the jabot (neckerchief) and pendant, ornate embroidery and overall structure. These similarities can be clearly seen when placed side by side. As you can see, the new character’s outfit resembles somewhat of a more practical, rudimentary version of the Knight set, made apparently of dark leathers rather than ornamental fabrics. The character’s weapon, too, resembles the Cainhurst Reiterpallasch, but with a less mechanically complex hilt. Given that time and memory are malleable in Yharnam, this character could very well be a founding member of the Cainhurst order. Could they be the fabled treacherous student of Byrgenwyrth who defected to bring forbidden blood to Cainhurst castle? Or even a young Annalise? This is interesting. Cuz I'm assuming this is old (obviously it's Maria AKA the Doll). 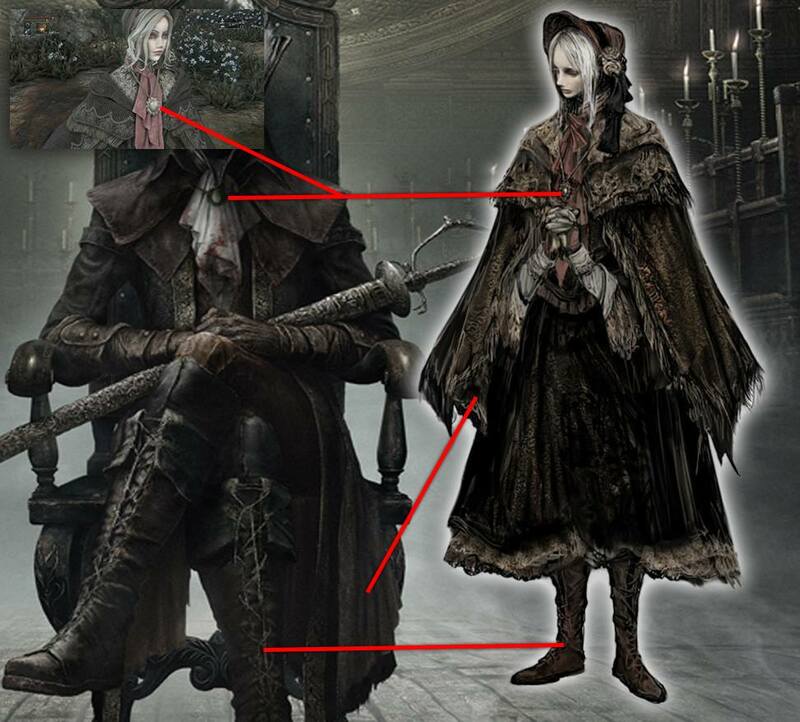 But Maria has ties to Cainhurst so it's awesome to see this kind of speculation based off of one picture and have so much of it be accurate.